Imogen's Typewriter. 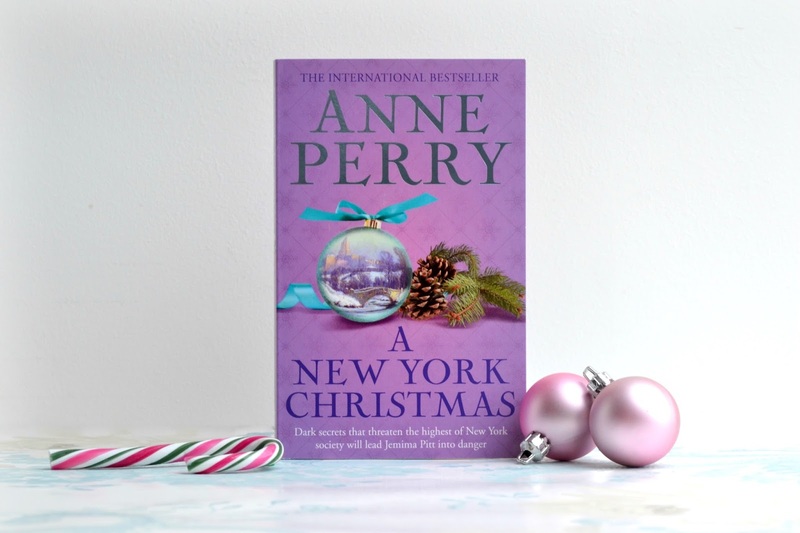 : Book Review: A New York Christmas by Anne Perry! I've spent every Christmas of my life so far at home, but I think one year I'd like to spend it in New York- as cliché as that is. I'd even settle for Jersey. But until that happens, I'll just have to escape my town in the books I read. Starting with the high class area of New York in 1904, where Anne Perry's A New York Christmas* is set. Turns out that this novella really isn't as Christmassy as I was hoping, which is why I'm okay with reviewing it so early in November! It's set in December, in the snow and cold, and the deadline for the murder mystery is Christmas. But there's just three pages set on Christmas day and the holiday isn't a main focus. It is very short, taking me just a couple hours to get through as well. If you're busy as heck around Christmas, this is perfect. Depending on what you look for when it comes to Christmas books, this could be great or a real disappointment. The murder mystery in itself was quite clever and it actually took me a while to figure it out. There's something about a creepy murder on a cold day that just fits together. We follow Jemima as she tries to figure out who did the killing so she can clear her name, and she's a really great protagonist. I could really put myself in her shoes as she walked the streets of New York. The only thing that didn't really do it for me was the relationships between the characters. Maybe because of how short the novella is, but it just felt like the familiarity was too sudden with those that had just met. I've been feeling that a lot lately, maybe I'm just being spoiled by series! This is the first Anne Perry book I've read, although I'm sure I own a couple somewhere. I think I'm going to dig them out, I'm definitely interested in her longer stories now, especially those that feature Jemima's father, the police inspector. The writing was beautiful so I'll leave you with my favourite quote; "She had a fear that some people's lives were like that: words skimming across the surface of reality, like birds over the waves, without ever getting wet." If you're after a easy read this December then A New York Christmas might be for you. You can pick up a copy here! Have you read any of Anne Perry's Christmas novellas? *This book was sent for review but it hasn't changed my opinion.